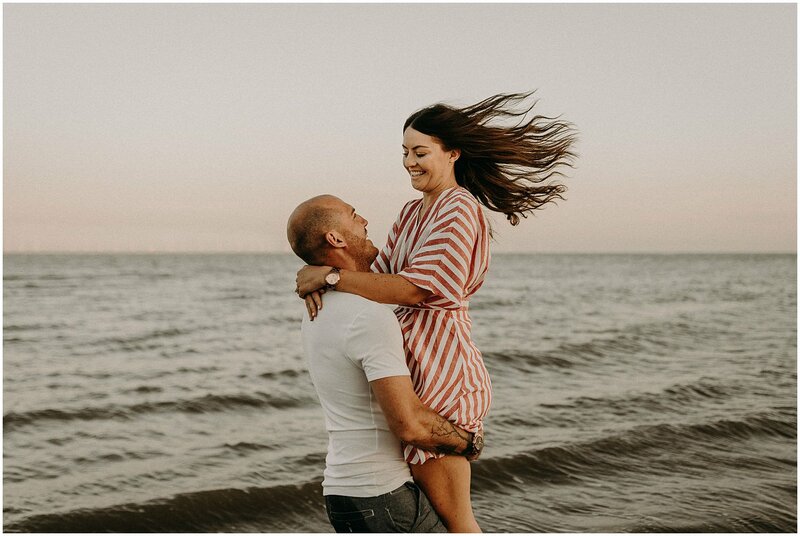 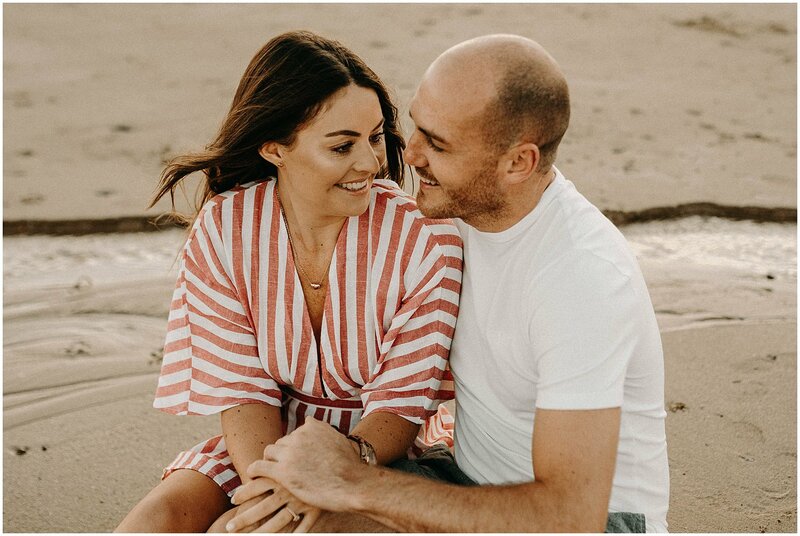 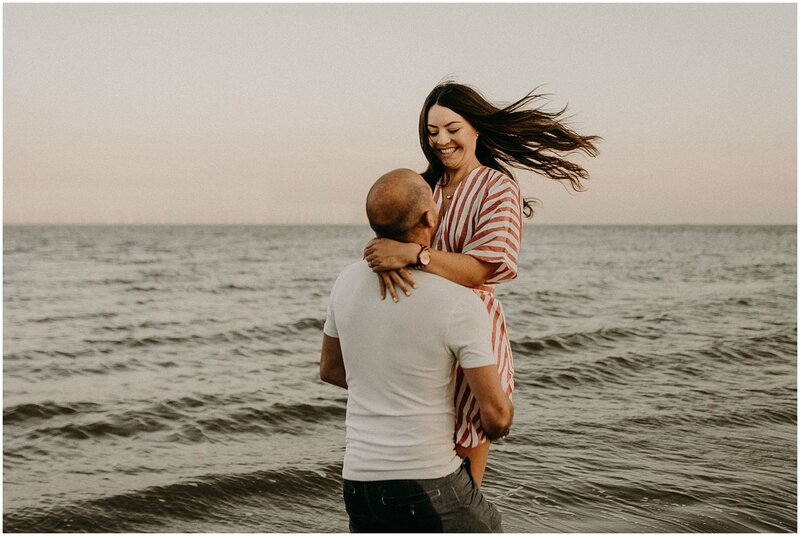 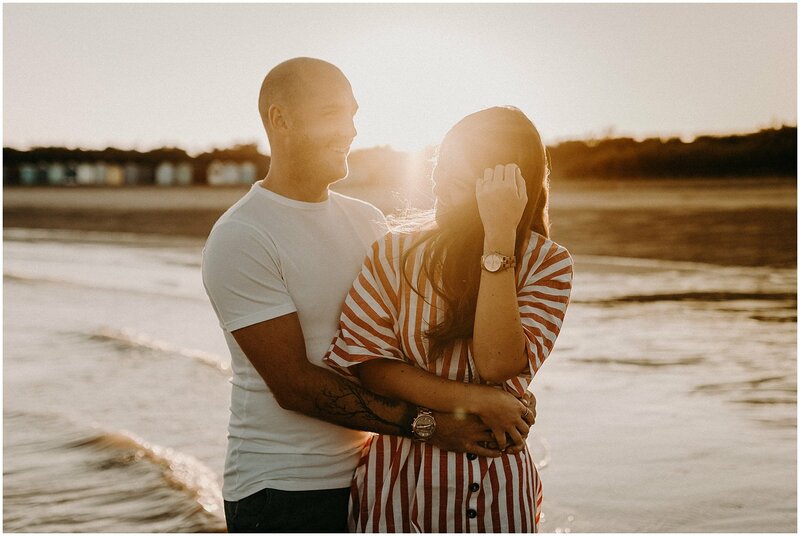 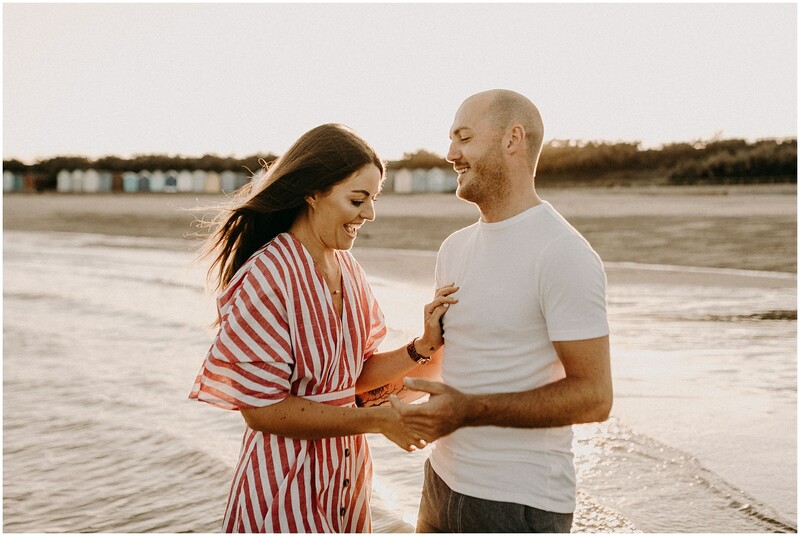 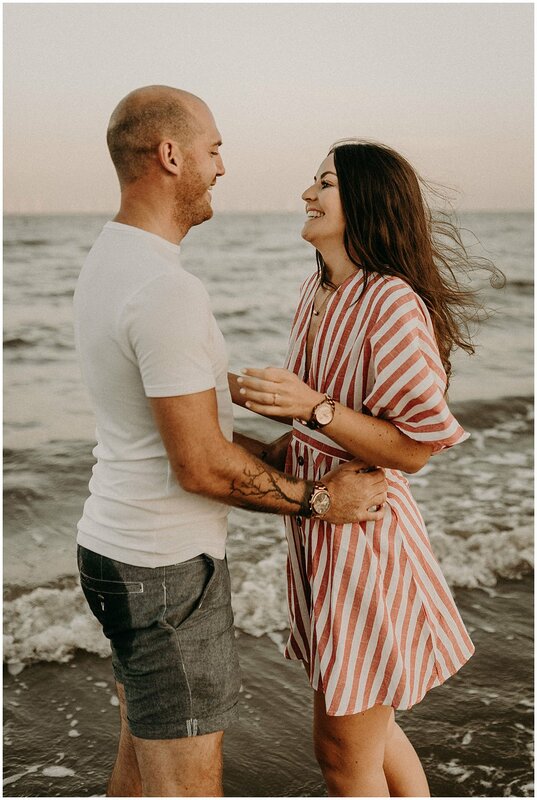 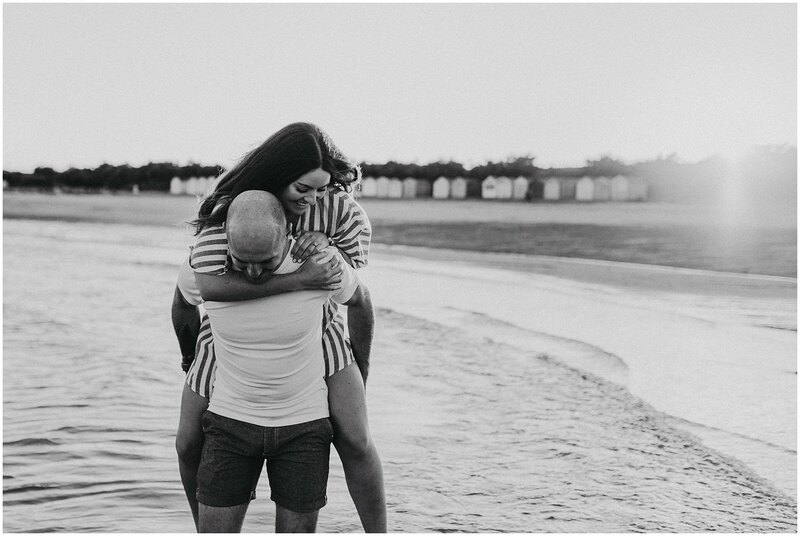 Ahead of their wedding at Houchins in Colchester, Amber + Kyelan booked a Essex beach couples photoshoot (pre-wedding photoshoot for them) to experience having their photo taken before the day and in Amber’s own words “So SO pleased I overcome my awkwardness to do the shoot as the pictures honestly are so lovely was such a good introduction to what the day will be like!” So if you ask me, that’s a pre-wedding photoshoot meeting it’s aim! 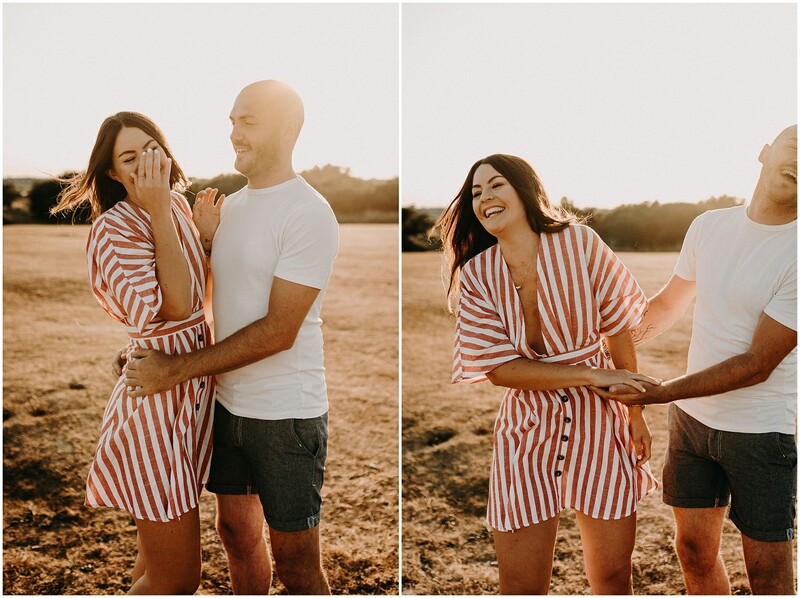 This is ALWAYS everyone’s reaction after their couples photoshoot, they’re always full of tons of laughter and the best way to get you all ‘weddingy’ and excited for what’s to come! 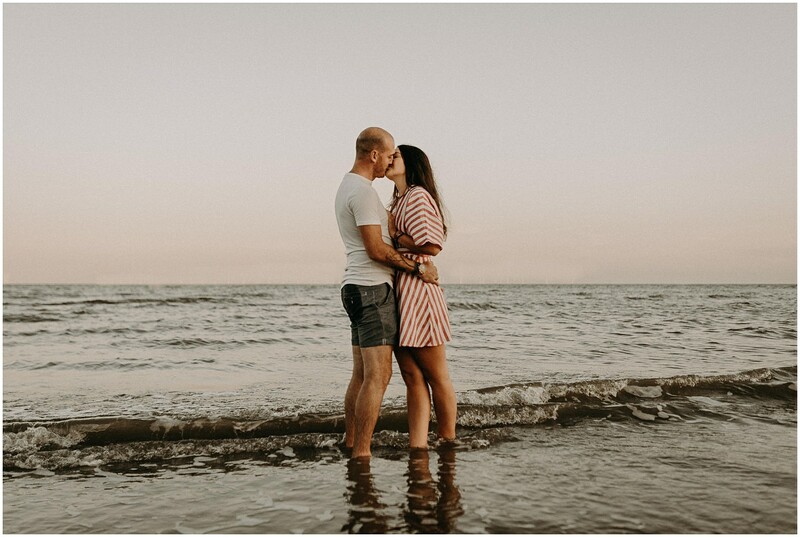 The beach is a location that we really are blessed with living in Holland On Sea and at sunset it’s even more beautiful than normal. 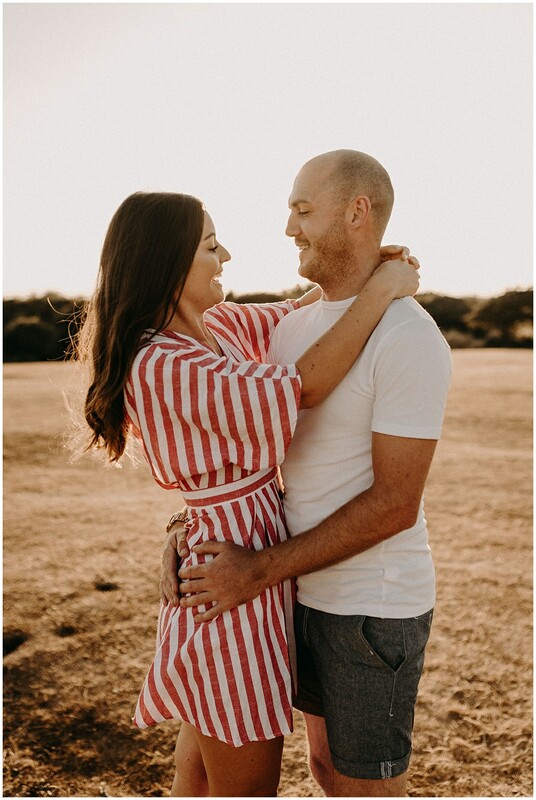 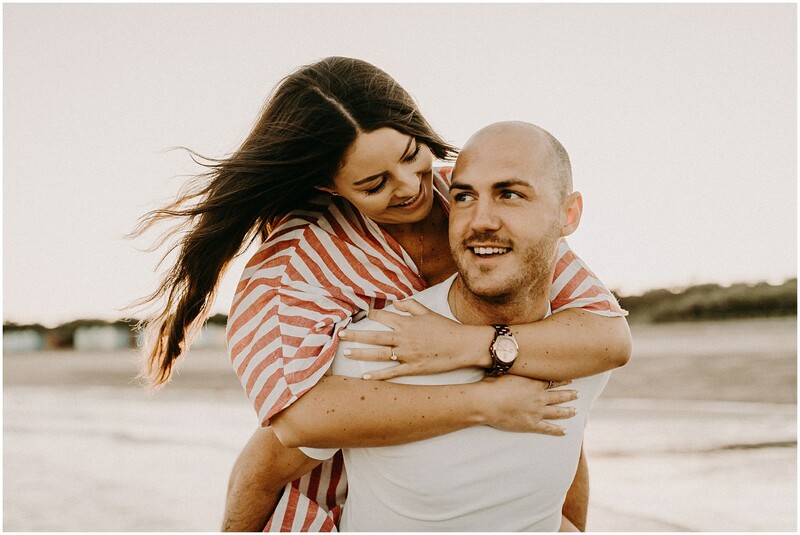 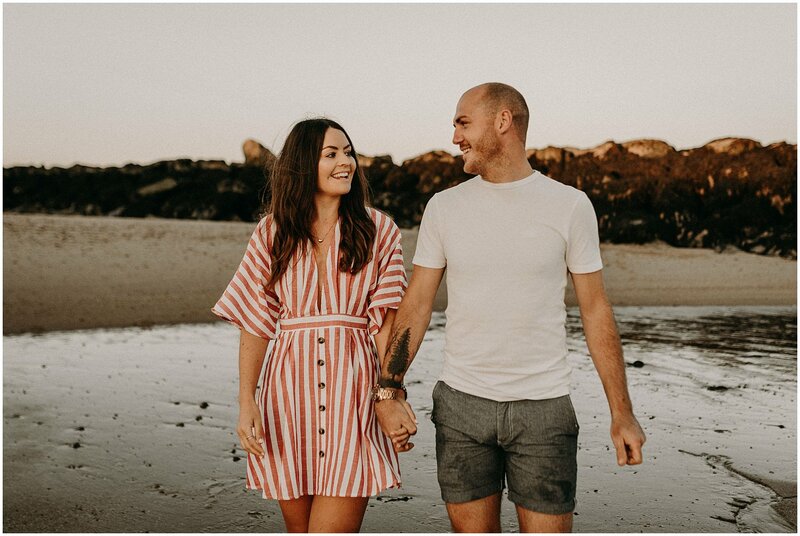 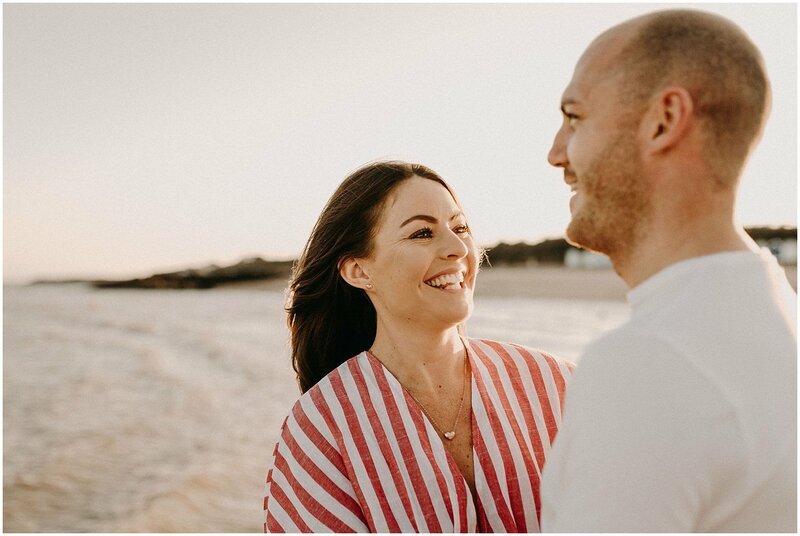 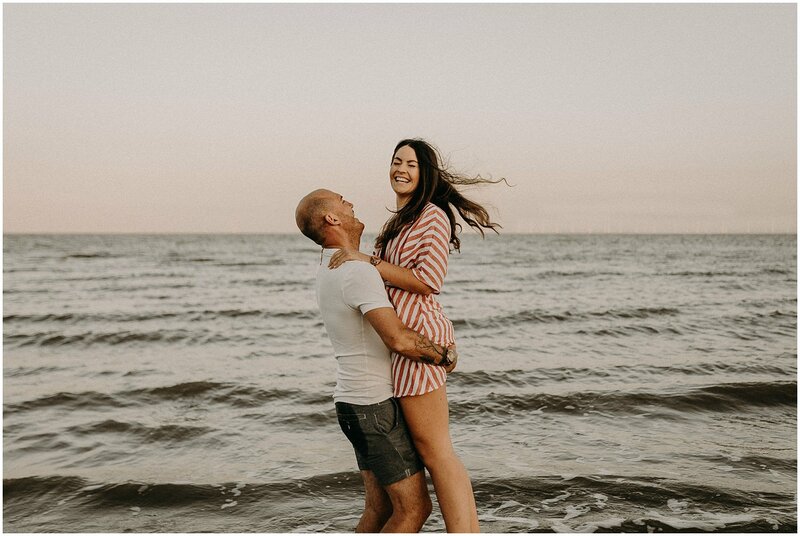 Amber was so nervous before this photoshoot having never had her photograph taken professionally but as a result of how fun and relaxed pre-wedding photoshoots are you literally would never know! 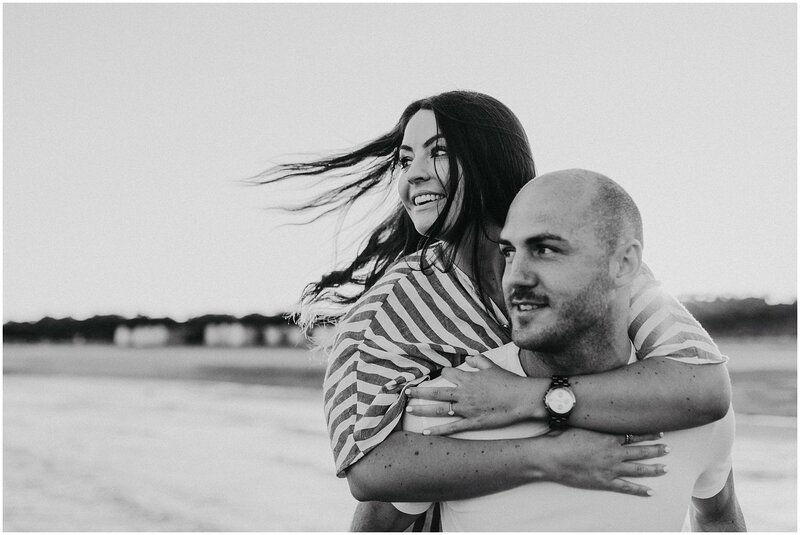 Such naturals so obviously in love and a pleasure to photograph. 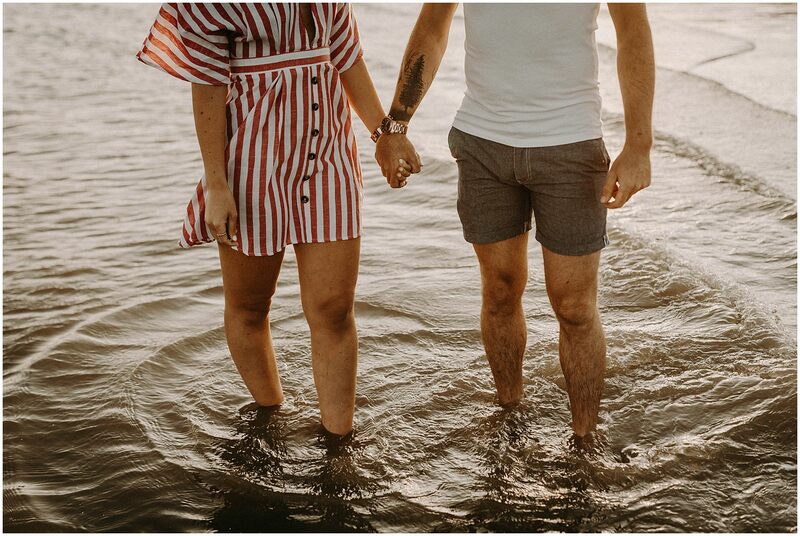 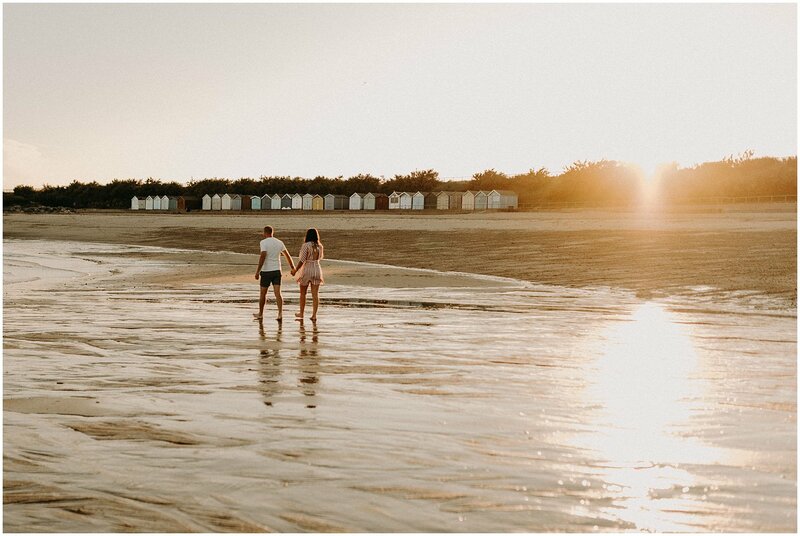 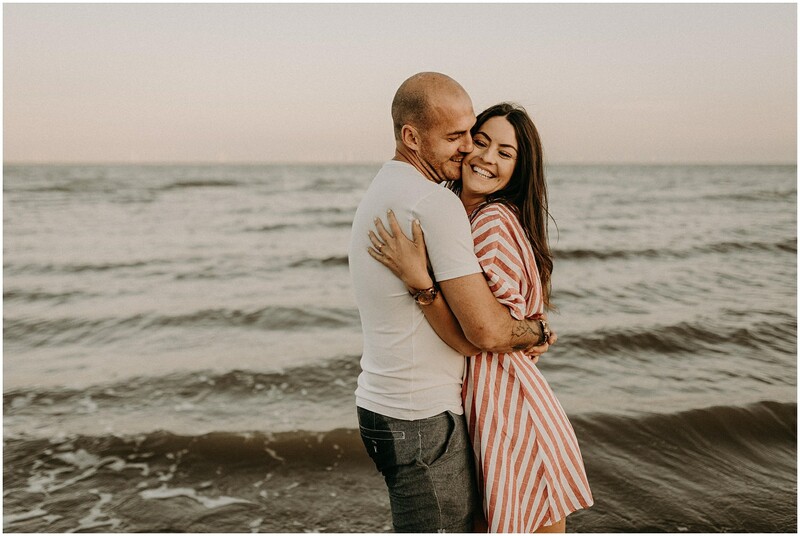 Essex beach couples photoshoots can be booked for any location, with stunning beaches in Frinton On Sea, Mersea Island or even Leigh On Sea, and nearby Suffolk and Norfolk also have amazing beaches so if you’d like an beach couples photoshoot let’s get cracking! 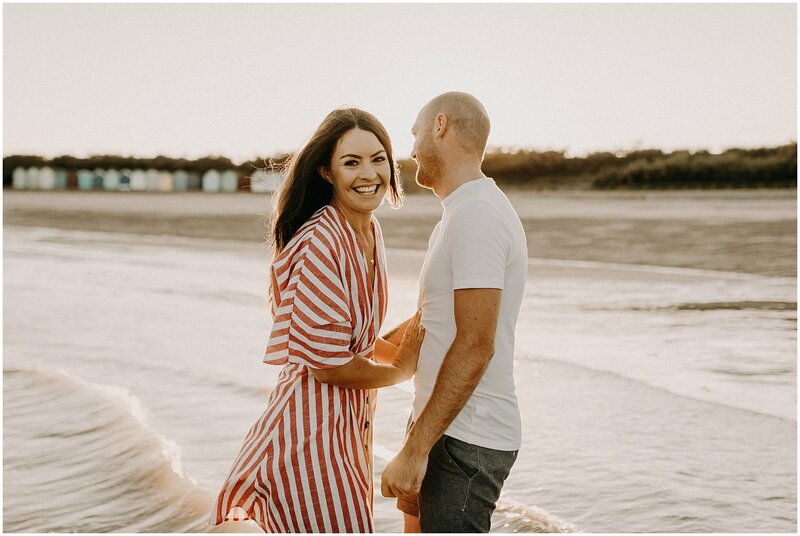 If you’d like to view the photos from Amber + Kylan’s Houchins wedding day after their Essex beach couples photoshoot you can view it here.